Is Filing Bankruptcy “The Right Thing” For You? 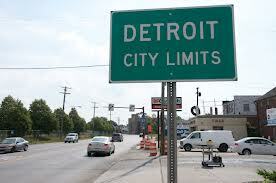 The city of Detroit filed for bankruptcy Thursday. We should ask ourselves is a city’s excuse for filing bankruptcy any better or worse than most peoples reasons for filing bankruptcy. In the case of Detroit, the city officials and the governor said they had “No viable options” and it was “The right thing to do”. “No viable options”. Hmmm. They didn’t say “no options”. They said “No viable options”. So the important word is “viable”. My college English professor would say that “viable” was a pretty vague term. But then again isn’t that exactly what the city’s public relations department wants. Project to the world that the city has done everything it can. That the city takes the leap into bankruptcy only after a long hard assessment of the options. Yup, that is the PR spin they are trying to get the media to buy. What would an individuals PR explanation be for filing bankruptcy? “No viable options.” Yes, that one has to be there. But the reality of most people’s decision processes is the ego-centric. They make decisions based on the benefit or harm to them personally. City’ officials I would argue had a similar obligation = to consider the cost vs. benefit to the city. So what is the best reason for bankruptcy for a city or a person? You decide. But doing what needs to be done is the American way and taking care of your family is well…the top priority. Everyone has made mistakes. The bankruptcy filer, the many cities in the U.S. that have filed bankruptcy, large mortgage and credit card companies, insurance companies, investment houses and on and on have all made mistakes. So whatever you decide I am sure it will be the right thing for you and will be the only “viable” options.